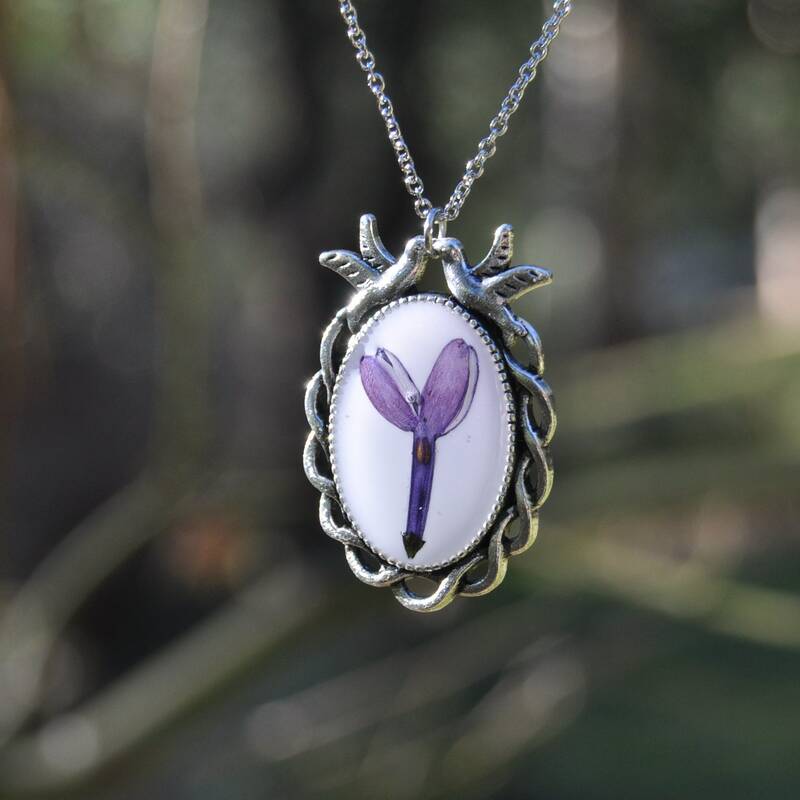 Symbolic of first love and used to express confidence in another, lilac is an ever popular spring flower, treasured for its lovely scented blooms. 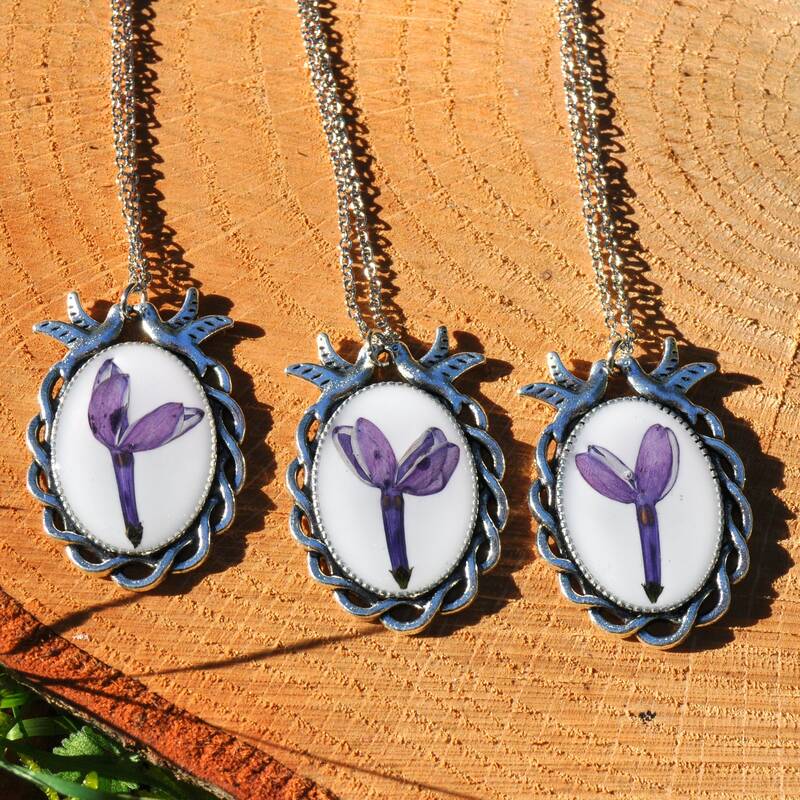 Each of these vintage style pendants contains a single pressed purple and white lilac flower, and could therefore make a lovely gift both for romantic purposes or for a new graduate (or both!). 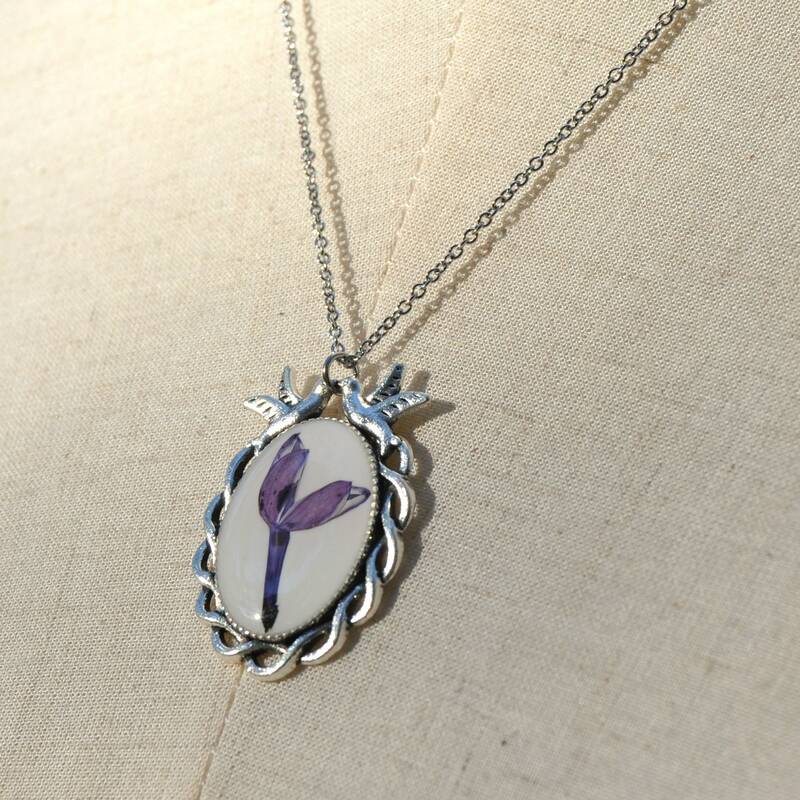 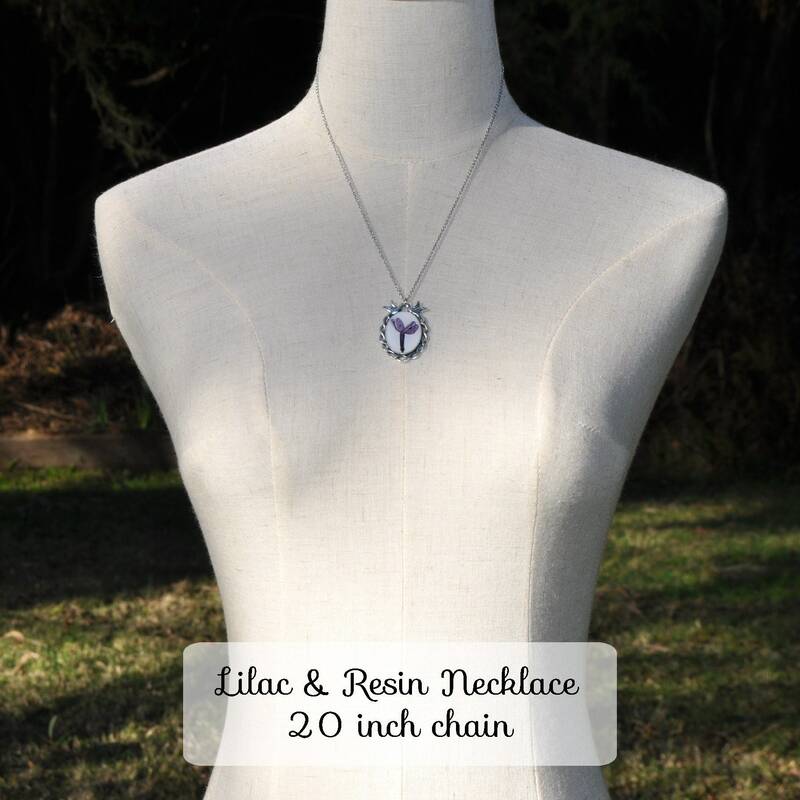 Set is a antique silver toned bezel, the lilac flower is set against a white background and covered in a layer of clear resin, protecting the flower for years to come. 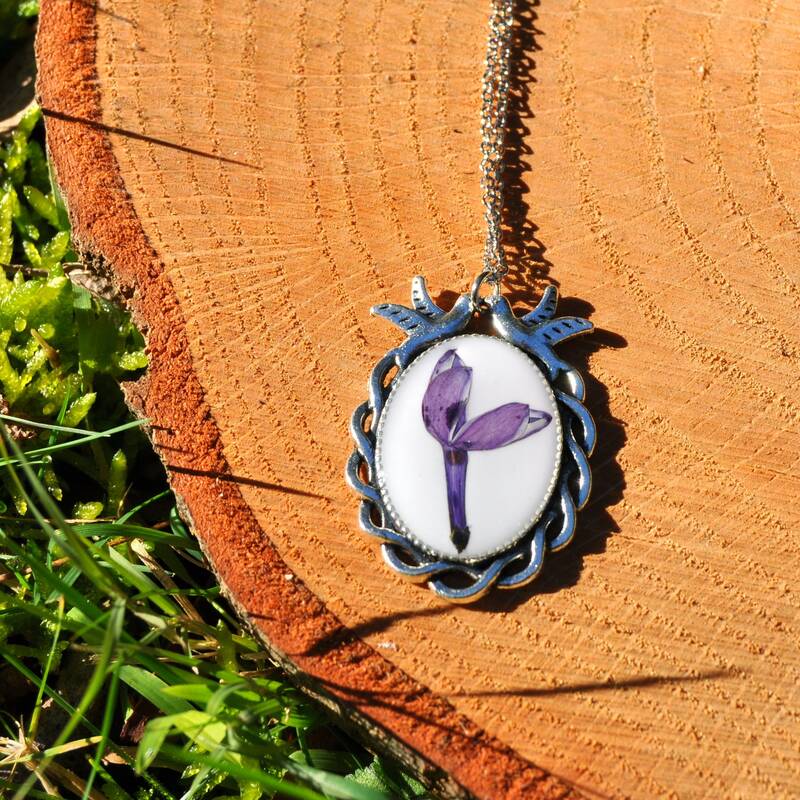 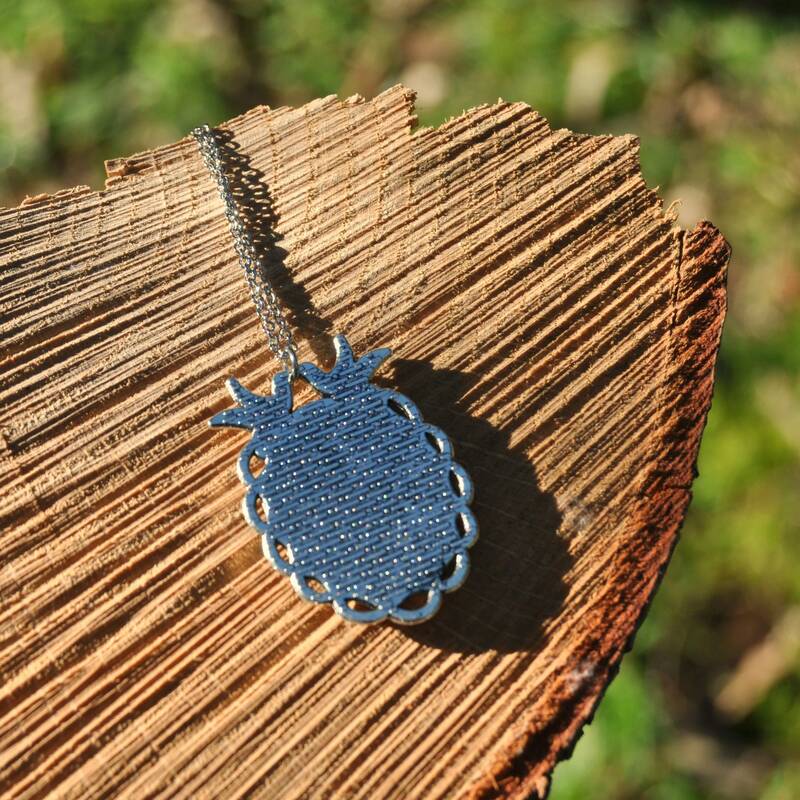 Each pendant comes strung on a strong but dainty stainless steel chain, which is highly tarnish resistant.